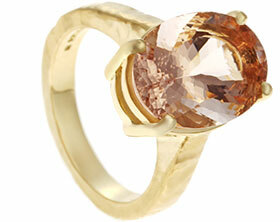 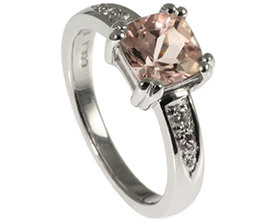 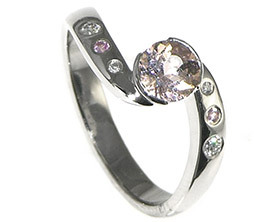 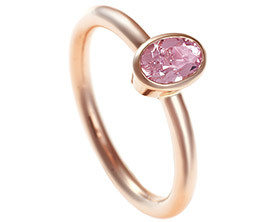 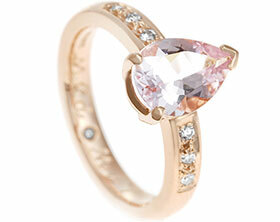 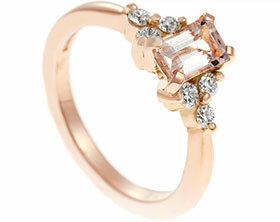 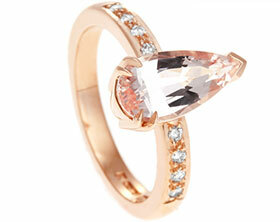 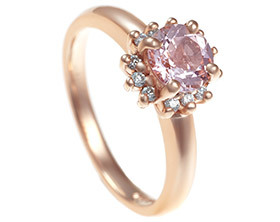 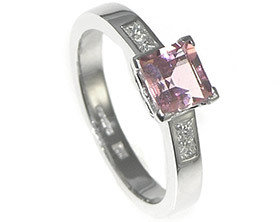 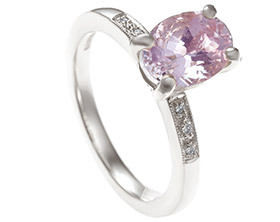 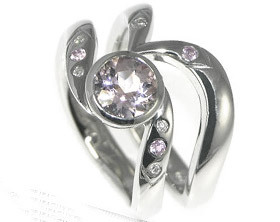 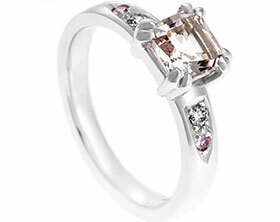 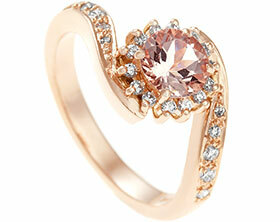 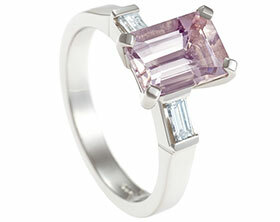 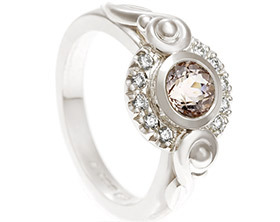 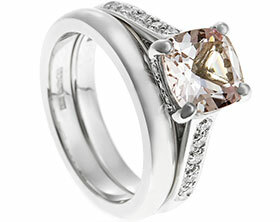 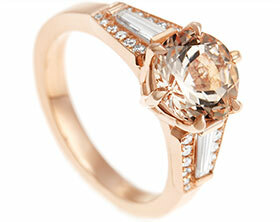 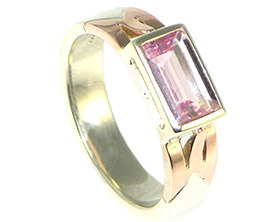 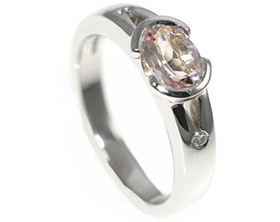 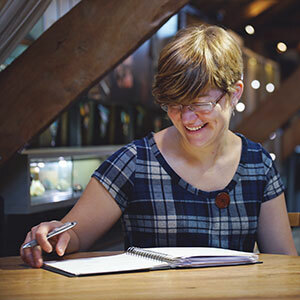 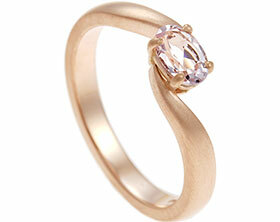 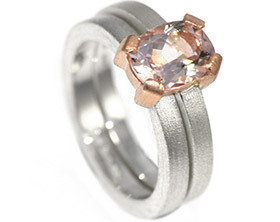 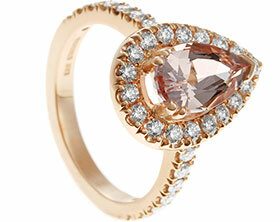 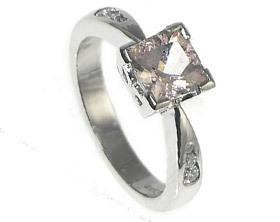 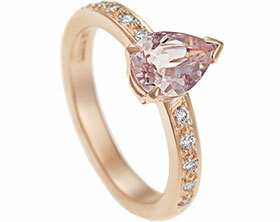 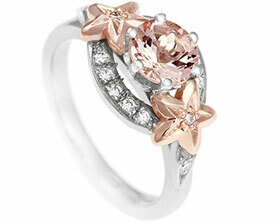 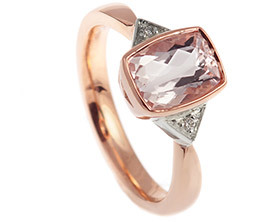 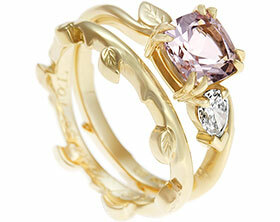 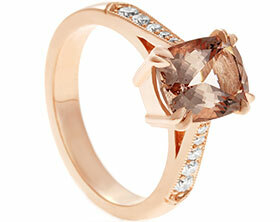 Antti contacted us with ideas about a flower inspired engagement ring in rose gold with a subtle pink-toned stone. 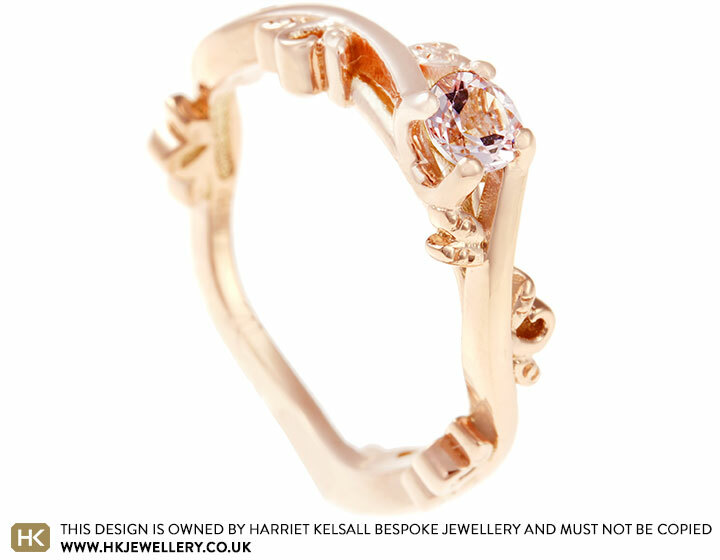 We came up with this gorgeous design for him, setting a very pretty morganite into a leafy, organic-feeling design where the setting appears to grow out of the rest of the ring. 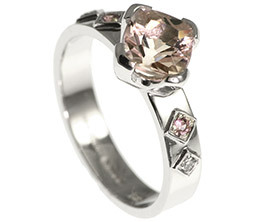 The leaves have been grained to give them a vintage-looking sparkle.